Software piracy: Is it related to level of moral judgment? 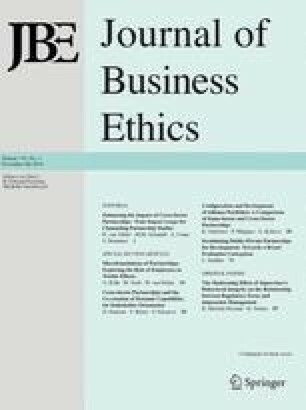 The possible relationship between widespread unauthorized copying of microcomputer software (also known as software piracy) and level of moral judgment is examined through analysis of over 350 survey questionnaires that included the Defining Issues Test as a measure of moral development. It is hypothesized that the higher one's level of moral judgment, the less likely that one will approve of or engage in unauthorized copying. Analysis of the data indicate a high level of tolerance toward unauthorized copying and limited support for the hypothesis. The most plausible explanation for these findings is that software copying is perceived as an issue of low moral intensity. This study calls into question the software industry's strategy of concentrating exclusively on institutional compliance with copyright rules, rather than working to raise the perceived moral intensity about software piracy at the individual level. As long as the issue remains low in moral intensity, the industry cannot expect significant shifts in copying behaviors. Individuals must become more aware of and concerned about the nature and magnitude of harm to society and to the rightful copyright owners from unauthorized copying before their attitudes and behaviors come to reflect higher levels of moral judgment. Jeanne M. Logsdon is an Associate Professor in the Policy and Planning Area in the Anderson Schools of Management, University of New Mexico. Her research has recently appeared in theJournal of Applied Behavioral Science, Journal of Business Research, Journal of Computer Information Systems, andBusiness and Society. Judith Kenner Thompson is an Associate Professor of Business and Society at the Anderson Schools of Management, University of New Mexico. Professor Thompson's work has appeared in theJournal of Economic Issues, Research in Corporate Social Performance and Policy, Business Forum, and theJournal of Small Business Management. Richard A. Reid is a Professor in Management Science at the Anderson Schools of Management, University of New Mexico. His recent research has been published inInterfaces, Operations Research, Journal of Systems Management andProduction and Inventory Management Journal.